Pillows can be used to freak people out, as a conversation starter, or to simply accent a piece of furniture. I have collected some of the strangest pillows, and possibly you will find a pillow that matches a friend or relative’s personality or interests. Some of the following pillows are really weird and some of them are just plain cool. Either way, I hope that you find a pillow in the price range and style that you have been looking for. Take a look at some of coolest pillows ever. 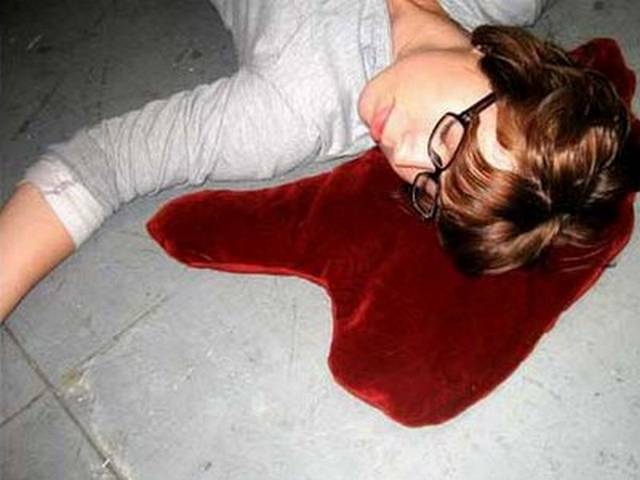 If your idea of a good time is tricking people into thinking you’ve been shot, these blood puddle pillows are perfect for you. Well, not completely perfect, because I don’t know how many people out there would believe your blood was made out of pillow. I know I would, but I also believe Abraham Lincoln was a part time astronaut. The glo Pillow is an alternative to the traditional alarm clock. It was designed with teammate Eoin McNally in response to a brief to create a product which helps to combat the pressures of a “24 hour” lifestyle. The pillow uses an LED fabric substrate below the surface to wake the user using light. This substrate also functions as a display, showing the time on the pillows surface using the grid of LEDs below. Wrap yourself up around the Boyfriend Body Pillow. This boyfriend arm pillow is a soft body pillow that looks like the torso of a man with a comforting arm that cuddles and holds you throughout the night. Feel safe and warm sleeping comfortably on his chest. This original pillow can become a great gift for a friend or relative with a good sense of humor that would love to have a little more cuddling at night. You will enjoy the comfort and warmth this body pillow gives and also the way that he wraps around you and holds you all through the night without snoring or saying a word. It is as if he knows exactly what you lik. The Girlfriend Lap Pillow. A creative pillow design which allows one to sleep on the lap of a lady. A pillow called the “Lap Pillow” will be released. It is a pillow imitating a woman’s legs made from urethane foam. Just like I’m sure you understand as you look at the picture, this product has quite an impact. Although it’s a pillow, it’s wearing a skirt. Not just any skirt — a tight miniskirt, even. It’s good to see that crying is finally receiving some recognition in the design world, even though the fabulous German innovator Design 3000, lists the ThenCry pillow as a “First Aid” product! What better “treatment” for crying than the warmth of a cozy pillow that dispenses tissues. A crying pillow is so comforting, like a teddy bear, only more huggable. Everyone needs a special pillow for low times… especially if they don’t have to go searching for a box of tissues, which is so disruptive to a good cry! Children should always have a ThenCry in their rooms wherever they throw themselves when things don’t go their way. 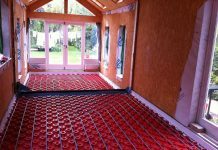 This is your opportunity to bring nature indoors in one of the most unique and exciting ways. Whether creating your own indoor Rock Garden, or turning a child’s playroom into an imaginative wonderland; with these unique designer pillows you can create your fantasy. There are many ways to show off and enjoy these stylish throw pillows. Amazing in their simplicity. Shockingly realistic. Surprisingly comfortable. This Pizza Pillow is certain to wake your taste buds, made of high quality printing on a round polyester shell, stuffed with polyester filling. Measuring 12″ diameter, pizza pillow features the pizza toppings on one side, while the back resembles the pizza crust view from the bottom. The Pizza Pillow design is a cute one for pizza lovers and food lovers as a whole. It may not give you a pick of your own pizza toppings, but it does provide the ability to have your own Pizza pie with you even while you sleep. In past we have seen ‘Comfy Pillow While Working On A Laptop’ and ‘The Napbook: The Laptop Bag That’s Also A Pillowcase’. And now we have i-Sleep by Ivonne Dippmann. Here we have a comfortable soft i-Sleep pillow with which you can sleep on your laptop. i-Sleep pillow can be attached on top of your laptop. If you feel sleepy, just close your laptop, and a pillow gets filled with warm air, music is being played and after 10 minutes the alarmclock rings. Now this is something which most of us need! The Emoticon pillow set is good for expressing your feelings when you are around your loved ones at home. You can throw an emoticon at someone if you want to make them aware of your mood! Or when you want to make a statement. You can even keep them handy around your desk. The emoticons are so cute that you really feel like hugging them. You can use them to decorate your room, your car or even your work area to cheer things up a bit. Each Emoticon Pillow is approximately the size of the palm of your hand, so they’re good for keeping around your desk and you can rest your face on them when you need a short and quick break form your work or your computer monitor. Reboot your livingroom with this three pillow set. Light gray pillows look as if they’ve jumped right off your keyboard. Set of three pillows. Made from Eco-Felt these 12″ pillows are soft yet durable. Backs have envelope enclosures so the pillow inserts can be removed for easy washing. Machine wash cold with like colors then tumble dry on low.